Ctown Weekly Ad September 14 - September 20, 2018. Early Fall Sale! 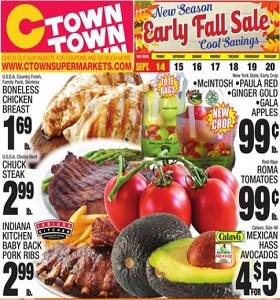 Ctown Weekly Ad September 14 – September 20, 2018. Early Fall Sale! -2/$5 Dole Salad Blends; $1.99 Sara Lee Classic 100% Whole Wheat Bread.